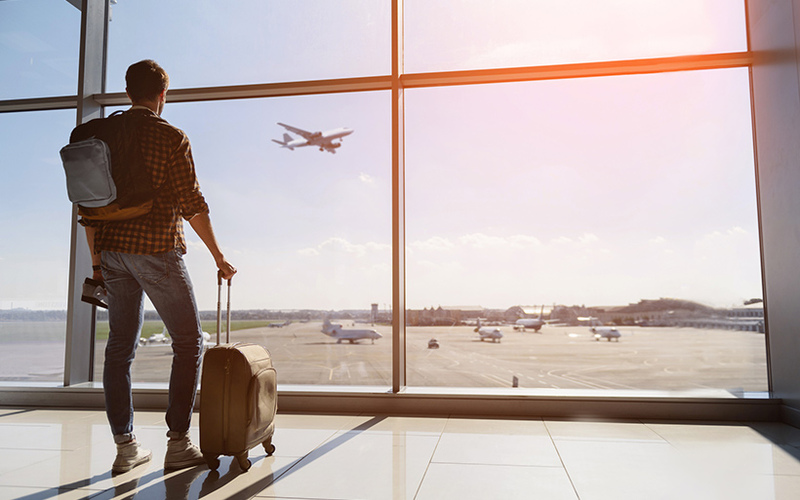 If you wear hearing aids, you may be wary of traveling, but there are several steps you can take to both prepare for travel and have a more enjoyable trip. Your instinct may be to remove your hearing aid and put it in your bag, but it is actually easier to get through security checkpoints while wearing it. You should alert TSA agents that you are wearing your hearing aids, and turn down the volume so there is no excessive noise from the scanners. Wearing them helps you better communicate with airport security, and to hear any announcements regarding your flight. The TSA Cares hotline at 1-855-787-2227 can help you with any questions you may have prior to traveling. Make sure you have all of your equipment, including a backup hearing aid, batteries, wax guards, and tools for cleaning your hearing aids. Put these items in your carry-on bag along with medications and anything else you may need during the flight. This preventative measure protects you from losing your equipment if your checked bags get lost. Don’t leave behind any other assistive listening devices you have, such as FM systems. You cannot use FM systems on the plane, but you will want them when you reach your destination. Bring along a carrying bag for your hearing aid and equipment, especially if you are heading to the beach. The salt in seawater can destroy your hearing aid, as can sand. It is also essential to bag your hearing devices to prevent damage if you are engaging in activities that cause you to sweat a lot. Hotel room electrical sockets are often taken up by lamps, refrigerators and your own items such as laptops, so bring along a power strip. It will make your trip more comfortable if you create your own handy space for chargers. If you are traveling overseas, make sure you pack adapters to charge your equipment properly in your destination country. Make the same preparations for your equipment if you are traveling by train as you would if traveling by air. You should also let the gate attendant know that you are wearing your hearing aid, and ask them to tell you of any gate changes in case you can’t hear announcements in the noisy train station. Also take precautions as you near the tracks, as the noise there can distract you from seeing incoming trains. If you are planning a long trip by car, consider purchasing an extra-large rearview mirror. This allows you to better see emergency vehicles coming up behind you. If you don’t already have one, consider getting an induction loop as it will help reduce background noise and improve your ability to hear conversations in the car. Regardless of how you plan to travel with your hearing aid, start out by making a checklist of everything you need to make your trip a success. As you put the items in your bag, check them off the list. Once you get to your destination, you can enjoy the same quality of life that your hearing aids and other equipment give you at home.